A Stunningly Beautiful floor plan with Dramatic Entry. 5 Bd/3 full bths, 3 Car Garage @ Cabinets and Guest Suite on Main floor with Full Private Bath. View as you enter is breath taking. Formal Dining room plus nice sized eating area in kitchen with Island seating. Custom remodeled kitchen includes granite and back splash. 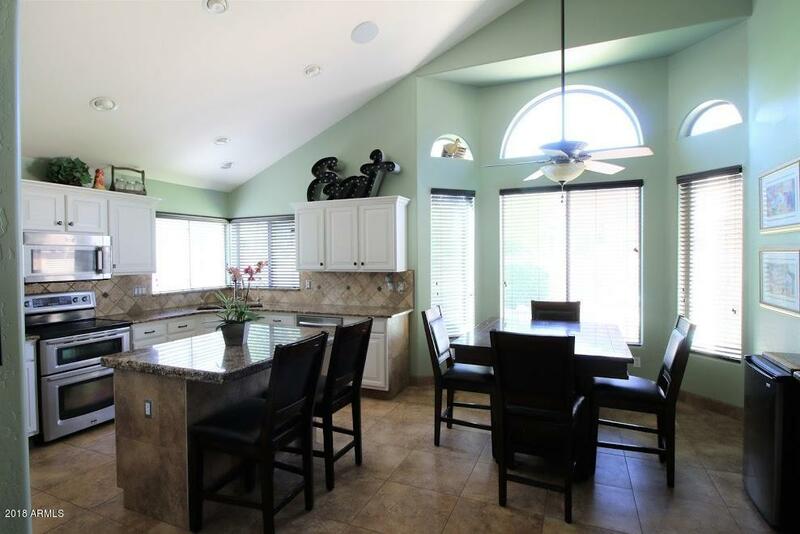 All Stainless Steel appliances, Stove with double ovens.Impressive Master Bath which was completely Remodeled with Custom cabinetry and Tile, Jacuzzi Tub with Jets, Walk in Shower was a Custom build. Master suite entry to Large Sundeck which gives you hours of Beautiful Mountain Views. Extended Covered Patio with Lights/Fans. 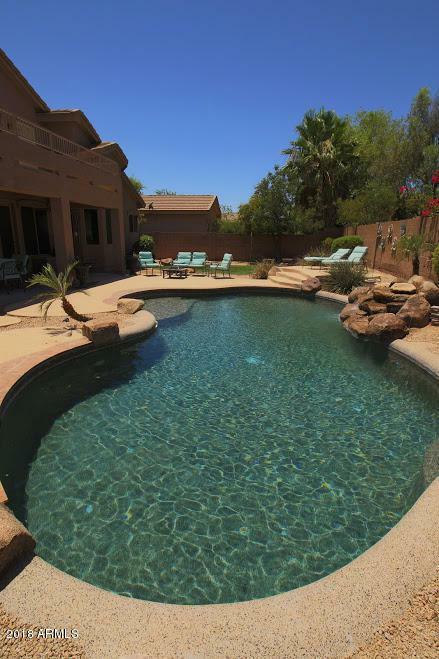 Resort Styled backyard features desert landscaping surrounding a Pebble Tech Pool, waterfall - Pop-Ups & Cool Deck Surround for easy maintenanceRV gate and a well maintained cement parking area gives plenty of space to store your toys. Quality sized bedrooms all with walk-in closets.Patio seating area at the home front. Custom Designed Security Screened Entry Door. Livingroom wired for Surround Sound as well as speakers in a variety of rooms. Hoa Name City Prop. Mgmt.